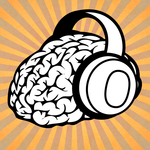 A binaural beat generator for the iPhone. A cheaper i-doser. My name is Michiel Roos. I currently work for MaxServ in Holland. I like tech stuff like Linux, TYPO3, Gumstix and Roombas but I also like to dig in the dirt and try to grow veggies and other things. Some of you may know me as author of nc_staticfilecache and maintainder of the DAM project. There are several ways to find bottlenecks in PHP code. One of them is using a profiler. There are a couple of profilers to choose from; apd, xdebug, xhprof and zend_debugger. I like to use the XHProf profiler. TYPO3 test site generator, will generate 'Introduction Package' sites for any range of TYPO3 versions. Ever got tired of creating a TYPO3 test site over and over again to test your new code or extensions? Ever needed to test your code on multiple versions of TYPO3? This extension adds a new entry to the context sensitive menu to create a new page tree from a set of predefined page trees. Typofree.org by Michiel Roos is licensed under a Creative Commons Attribution-Share Alike 3.0 Netherlands License. Permissions beyond the scope of this license may be available at https://www.typofree.org/spark/.